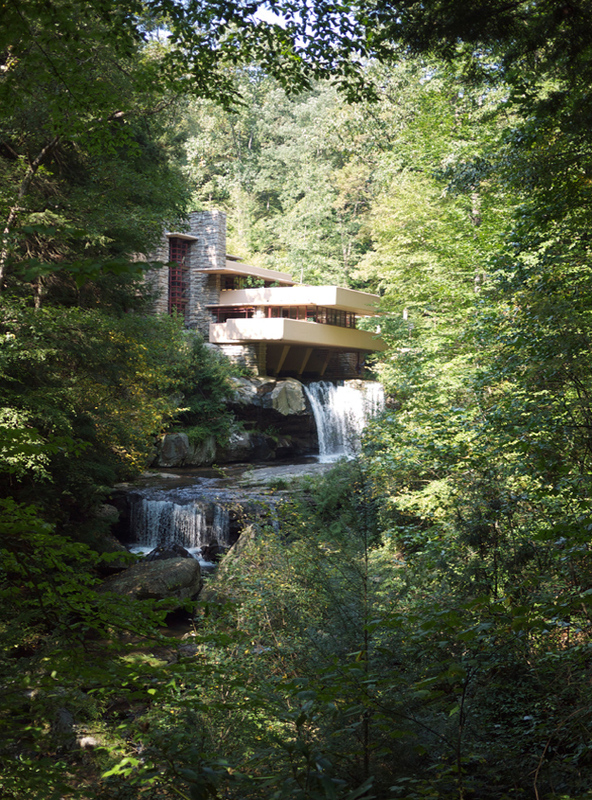 If I could be a stowaway guest anywhere right now it would be Fallingwater, Frank Lloyd Wright’s cantilevered creation which hangs over a 30 foot waterfall in Pennsylvania’s Laurel Highlands. Completed for the Kaufmann family in 1939, it served as their retreat from Pittsburgh, a city so smog-choked that the street lights never shut off. And what an escape it was. 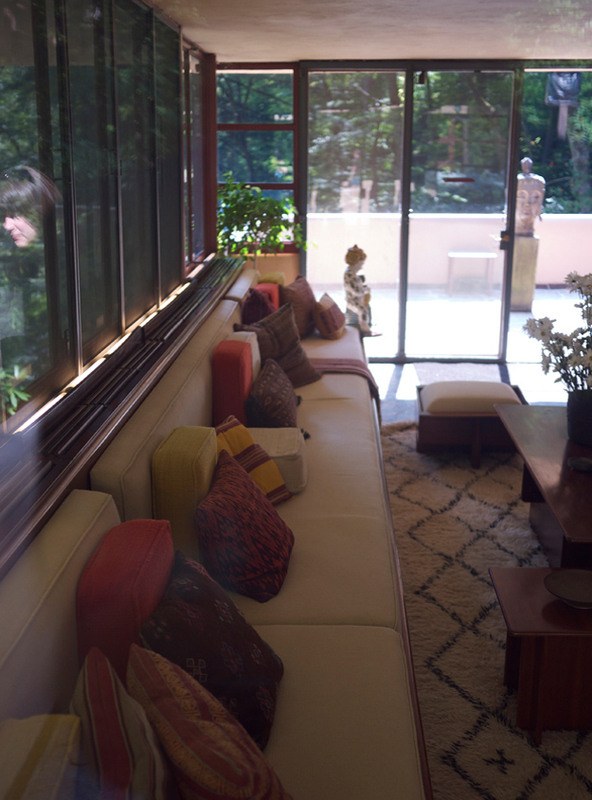 Japanese-inspired custom seating. A Picasso casually hung near a bathroom. Ando Hiroshige woodblock prints in the master bedroom (gifts from the architect). The rhythmic splash of the waterfall piped naturally into every room. It was all too much. And then we wound our way to the guest house (where Frida Kahlo is said to have bunked) tucked away beside the giant soaking tub of a pool. At this point I lost all focus on the otherwise engaging tour, and I started scheming my stowaway plan like a 10-year-old. Wonder if I could squeeze beneath the bed? Or curl up in a cabinet. What if I just crouched down behind that Mies van der Rohe chair? Irrational thoughts that could only be inspired in a place of such impossible beauty. Next time I return I’ll be invisible (and camped out in the guest house). Note for Parents: Children under six are not permitted inside the house. A very special shout out to our Pittsburgh hosts, the Garces family, who demanded we take the tour while they explored the surrounding woods with the under six set. They were right, it was not to be missed. 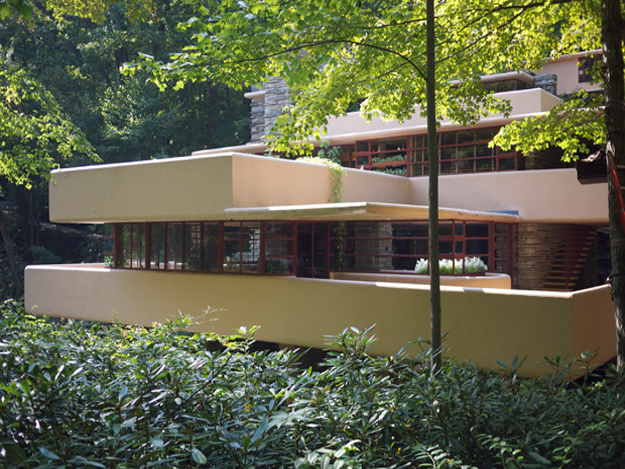 This entry was posted in wander and tagged architecture, design, fallingwater, frank lloyd wright, pittsburgh by lhouse. Bookmark the permalink.